THERE’S A GRAND OPPORTUNITY in Florida for every farmer, rancher, grower, or forester with an open mind and a willingness to make a modest investment. It’s an opportunity to maximize the value of every acre you own and/or manage. How is this possible? It’s possible — actually, more probable than possible — with a first step: become an operator member of the Florida Agritourism Association. If you haven’t yet discovered it, the Florida Agritourism Association (FATA) is the 5-year-old organization that supports the fast-growing agritourism market in Florida. Agritourism is that great blend of Florida’s top two industries; tourism and agriculture. Destinations include working farms and ranches; u-pick fruit and vegetable operations; vineyards and wineries; specialty crops and products; and numerous other types of ag-related operations. Agriculture is huge in Florida — providing more than $76.5 billion in economic value annually — and forecasts for industry growth are very positive. Agritourism operators can contribute to and tap into that growth. Tourism, too, is on the upswing in Florida. Agritourism has become one of the fastest-growing tourism markets, giving the state’s visitors and its fun-seeking residents additional places to play and helping farmers add value to every acre, thereby increasing their revenue. The FATA program for operators focuses on education, business development, business marketing, and legislative advocacy. FATA is committed to advocating for agritourism operators and helping them promote and grow their businesses. Members of the FATA board of directors have a combined 50-plus years of experience in association management, marketing, political advocacy, and not-for-profit work. The board members are passionate about promoting Florida agritourism enterprises and creating opportunities for their operators. Agritourism operators can tap into a wealth of resources, including the excellent Florida Agritourism Toolkit. Even if you’re not sure about the viability of your ag operation as an agritourism place to visit, give the Florida Agritourism Association office in Tallahassee a call at 1-850-254-5355. The FATA staff is a creative group and will work hard to find a tourism niche for anyone wanting to be a part of the exciting agritourism market. This column is sponsored by Labor Solutions. BIO: Baxter Troutman is the founder and chief executive officer of Labor Solutions, a staffing company with offices in Bartow, Winter Haven, Lake Wales, and Arcadia. You can visit his Dark Hammock Legacy Ranch online at www.DH-LR.com. 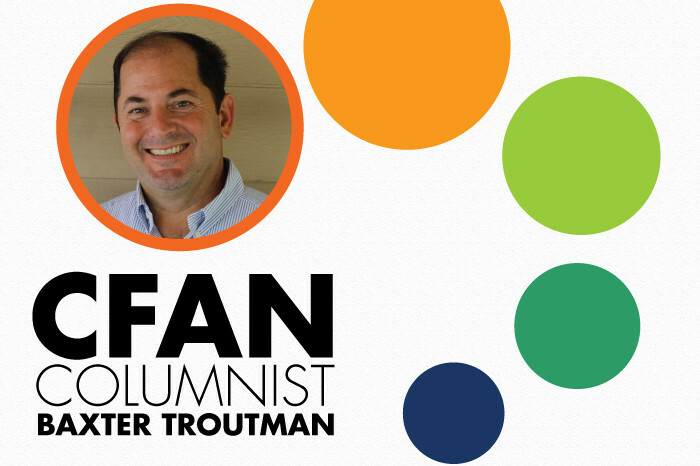 A cattle rancher and citrus grower who served in the Florida House of Representatives, Troutman understands the challenges and concerns of today’s farmer.